Somewhere between engagement and now, I suggested to folks that my fiancé and I were debating to get married and not register with a store for gifts. Instead, we have considered the idea of having guests donate to a charitable cause that’s close to my heart- helping foster kids. I’m not new to the world of fundraising. In fact, many of my celebrations have been charitable. Most get togethers, I asked people to bring a can of food or a toy to donate in lieu of birthday or hostess gifts. I’ve also given up birthday for charity:water to raise $2,600 for my 26th birthday. If anything, the idea that I’d want to do something like this for the most important day of my (and my future husband’s) lives, shouldn’t come as a surprise- except, that it totally was. I was a bit surprised that folks weren’t too keen on the idea that we’d prefer donations to a special charity in lieu of gifts. Let me just say, we don’t even have a set of matching towels yet and our tupperware consists of plenty of recycled food containers. We are far, FAR from the Pottery Barn catalog as a couple, but dammit, we’re happy. When are we going to have this many loved ones together in a room again? When are we going to get an opportunity to pursue something that matters to this scale? I honestly don’t know. I can hope that in the future I’ll be able to have a career that regularly does things that helps people and has a significant level of impact- but for now, how does one consolidate the idea of “barn raising” (meaning guests of a wedding contribute to the homesteading of a new couple) and the idea of the greater good? It’s honestly something I’ve been struggling with, and the husband-to-be is also questioning. Apparently, it’s just “not something you do.” Fiancé thinks that people need to be able to help us “start out,” and that only going with a donation option for kids in need is just not going to be a good guest experience. Apparently people like buying you towels and that’s part of the wedding experience? I honestly don’t know. I know a few years back, I heard a few wedding guests of a friend’s wedding balk at the idea of donating cash to help the couple buy a home or take a honeymoon. A cash donation was deemed tacky for some reason I cannot fathom. I realize nowadays people still get a bit uppity at the idea that the bride and groom may not need a bunch of crap (albeit gorgeous, amazing crap) on their wedding day. Most us, bristling under the weight of high cost of living, low entry salaries and crushing student loan debt decided to team up on the finance front before getting married- so yes, we have some damn wine glasses already. The fella and I moved in together based on necessity, but we didn’t make the decision lightly. I have a Master’s Degree. I own a car. I’m 27 years old. I lived on my own. I’m sorry for some reason some distant relatives or Facebook friends think I should have rolled right into my Care Bear sheet fitted twin bed and into my bridal bed with no domesticity in between, but alas, I, like most brides nowadays, I went to college and got a big girl job which required things like a blender, coffee pot and a few plates. Granted, nothing matches and most are from a thrift store- but dude, it got the job done. Sorry not sorry, I didn’t get married directly out of school, nor does cohabitating before marriage equal “oh, you two must have everything already.” Let’s not miss the point. Honestly, I don’t know what we’re going to do. There is nothing wrong with registering for sheets and towels. In fact, I don’t think there’s anything wrong with us doing a wedding registry- but in the scheme of things, the idea of a “big give” on our wedding day to a charity I adore seems like an amazing possibility. I’ve toyed with the idea of pitching corporate sponsors to do a big donation to help foster kids and a great organization… but who knows if that would fly either? Apparently, I just can’t get married like a normal person. Fancy stuff, because everyone else has it. Surely, I too must have it. Well said Janis. We’re planning a marriage, not just a wedding. Let’s be sane about this. Sane in the way I’ve run my entire life- by doing what’s right for our lives, not by what’s right by someone else’s standards. Also- OffBeatBride.com has saved my sanity more times in the last 6 months than I can count. You should check it out because seriously- it’s a breath of fresh air when all you find seem to be “traditional brides,” which all happen to be working with a $45,000 budget and seem to be a size 0, fabulously tan and have perfect hair. You know, brides that don’t want s’mores instead of cake, and don’t even have to consider alternatives to the “daddy daughter” dance or ethical issues when incorporating tradition. I’m done with those brides. I’ll take the Offbeat ones, apparently, I am one. So, I feel somewhat sane- what ways have you struggled with tradition when planning a wedding? Is it totally crazy to want to do a big give instead of asking for tupperware? Shannyn, I totally understand where you’re coming from! My husband and I were in a similiar position. We registered for some of the essentials (towels, sheets, kitchen stuff) We registered for limited china (because our older, traditional family members wanted to get it for us). 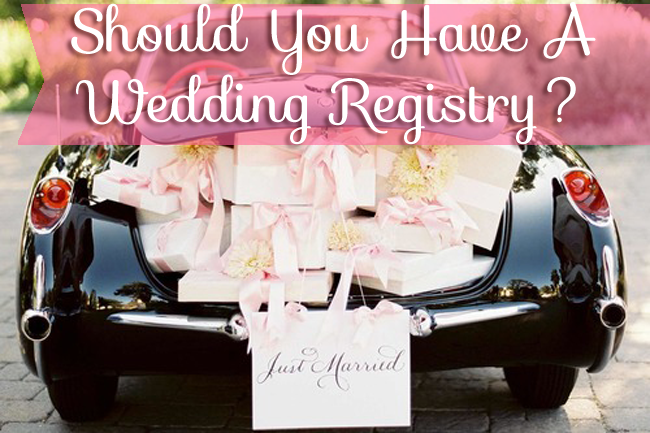 Most of the things you receive are never on your registry anyways! We split up the cash we received, saving half and donating half. We did a little bit of everything and shared our plans with our guests in our thank you notes! Maybe this helps, but there is NO right way or wrong way to do it. It’s your wedding and life! Ahhhh, the not-joys of wedding planning. I can’t believe you’ve gotten flack for wanting to do a charity registry. Do it. I can’t figure out why someone would be so selfish as to not give you a gift because you were directing that gift toward something else! I wish the “cash is tacky” idea would die a fast, unnoticed death! The only “should” that exists for me is ‘You should choose what’s right for you.’ Honestly, if guests get uppity about a registry that they aren’t even going to stick to when buying gifts, it makes me think that they just want to regift crap so they can feel good about giving something. I’ve been to many bridal showers recently, and the bride always receives plenty of completely useless stuff that wasn’t on the registry (and can’t be returned). Also, I don’t think giving money is tacky. If the couple needs money, give them money! It’s no one’s place but your own to determine your priorities, needs, and wants. Thanks so much for this post. I’m not even engaged yet, but my potential future in-laws are already talking about “how Brandon and Chelsea should do things.” Ugh. There are so many old fashioned “rules” of wedding planning, and so I agree with you – do what makes sense for your situation. Start new traditions – if people don’t like it, that’s their own dang fault. I got married about a year ago and so I have two things to say about all of this. First, Lauren above is right. We made a registry but mostly people just wrote us checks. If I had known that was going to happen in the first place, I wouldn’t have bothered stressing about the registry. We had just bought a new house, so it was nice to have the money and decide what we needed that wasn’t on the registry or would have been weird to put on one (i.e. furniture). And certainly, you could donate some or all of the money you receive. Second, your fiance is probably right about the guest experience part. It’s your wedding, but weddings to me (my own included) don’t really feel totally about the couple. The guests need to feel involved to, and if letting them buy you some gifts is how they can help you celebrate, then let them. It really is not the worst thing that could happen to you and is really not worth stressing out this much. You could also make a small registry but also make people aware of your cause so they can choose for themselves. Remember that a lot of people would rather see their money go somewhere they have a connection to (you), even if it’s just silly dishes, than to a charity they may not have a connection with. I think encouraging charitable donations over “fill the house” gifts is perfect for your wedding! Of course, there will always be hold-outs that just can’t resist investing in a lovely salad bowl set, or nice sheets. Not registering at a store won’t eliminate the inevitable gift-giving that weddings inspire, it will simply tell your guests your preferences. I have read about the new trend to inscribe books for baby showers instead of bringing cards, which is an awesome idea, but can be met with resistance when people feel they are being monetarily bled dry by so many gift giving requests and “shoulds” for one event. Similarly, having the full “expected registry” AND requesting donations to charity would likely frustrate guests and not make much of a donation. Shannyn – I totally agree! I hate the traditional “shoulds” surrounding brides these days. I’ve been told by a friend of mine that I NEED to do an engagement party because I’ll “get more gifts.” I was a bit taken aback because for me, getting married isn’t about the gifts – it’s about celebrating my love for my fiance and enjoying time with my friends and family. We’ll likely register for big ticket items (i.e. vacuum, kitchen-aid mixer, blender, etc.) because we don’t have those, and leave it up to our guests to give as they feel appropriate and use gift-cards when needed instead of actual gifts. We’ve been living together for two years but everything we have is mostly hand-me-downs from our parents, so nothing is new, and nothing is “us”. We’ve also signed up at Wedding Republic, which will help us with our honeymoon. We are, like you, paying for our own wedding and until we complete the final payments, we won’t know what type of honeymoon we can afford. I don’t really care if someone thinks it’s tacky. In my family, we have wedding showers, where any registry gifts are given, and at the actual wedding, it’s mostly cards with cash/cheques. Clear-cut and less confusing as well. I say, ignore the naysayers who say you’re not doing things by tradition. It’s YOUR wedding, not theirs. If they’d like to throw you $15,000 towards your wedding, maybe you’ll take their comments into account, until then, do as you wish. Oh boy, yeah, this post is totally up my alley right now. I just bristle at the idea that if you want to do anything outside the norm of a traditional wedding, you’re suddenly doing it “wrong” and people get up in arms. I’m sorry, it’s your wedding. You’re putting down the money, you should be able to do what you want. What makes people think they have the right to tell you what you’re doing is wrong? It’s absurd. We spent a lot of time deciding on what to do about a registry, too. My favorite thing about registries, is people get insulted if you don’t have one, but then also apparently get insulted if you tell them where your registry is before they ask. So it’s considered rude to ask for gifts, but also considered rude not to? All the nonsense having to do with weddings was basically what drove me to just elope. If people are going to complain, they can do it in their own home and not at my wedding. 😉 Oh, by the way, having a registry and expecting gifts if you’re eloping is also apparently considered rude. My fiance and I have most of what we really need already anyway. If people desperately want to send us gifts, they can decide on their own what to send. We weren’t going to do a registry, either, but in the end, it’s how we ended up with a set of nice, matching plates (not Kate Spade or anything–we actually used gift cards to buy $150 set that is amazing). If you aren’t going to donate to charity, I think practical is the way to go. I always think it’s a little silly when I see my friends register for the type of china that my mom uses once every 5 years. Oh, and as a side note, I would say about 1/3 of our guests didn’t even bring gifts. I wouldn’t have noticed, except for all of the thank you cards that I wrote. A coworker’s daughter used a website that let people sponsor different parts of their honeymoon (they were roadtripping across the US). You could contribute to or even fully cover different things – gas from A to B, baseball tickets here, hotel room there. Another friend, in addition to her small registry, is giving people the option of contributing to their honeymoon through AAA. I think they worked because you’re giving towards a specific item still, even if it isn’t a physical one they wrapped up for you. I think you can do something similar with charitable donations – this much is a meal, this much is a counselor for a month, this much is a fun field trip for a child, etc. There might be some charities that can set that up for you, otherwise you can set up a website that gives those options, but each link just goes to the donation page with that amount filled in already. Direct people to the website wherever you would otherwise mention a registry. You’ll still get some picture frames, sheets, and serving platters, but hopefully most people will get the hint. Coulds and shouldsare dangerous wedding words. In the current culture I think it is up to the 2 individuals to choose how they want to start their wedded life together. Location, simplistic beauty or bold and loud- all your choices for ringing in the party of you life. When I leave a wedding I value being able to see that the couple were happy and in love. The other details are just pretty fluff. My husband and I had some very traditional elements to our relationship and engagement and then on to the wedding. Looking back the combination worked for us. Varying in the choices we made, such as eloping, was not the traditional norm, but it was OUR perfect. Live your day so you will love it. Gifts- I think it is fabulous you want to give back to an organization that captures your heart. That is your choice and it is a wonderful one because you booth want it. What a lovely way to show your love for each other by requesting your loved ones support you by giving you what you want: the ability to help someone less fortunate. What a blessing to the organization and to the two of you because the organization is something you cherish. There will be many years to build your home and fill it with retail stuff. This is a moment to make an impact that you may not otherwise have the ability to do for people in a less fortunate circumstance. It all boils down to love. Do what you love for who you love to spread love. Now that is a great cycle! In lieu of a charitable donation if you do get gifts take what you are replacing and give to the salvation army, a home for abused women, or a special needs home! That way you are still giving! My husband & I have been married for nearly 14 years. I can say this: I was an “offbeat” bride who fell to the trappings of tradition. I’ve regretted it every day since. Was it beautiful? Yes. Were there personal touches? Yes. Was it everything I wanted? No. Traditional won out due to family….ideals. Marriage, and the act of getting married, has nothing to do with age, college education, job status, or anything else. Yes, people attend weddings with certain expectations, but they really shouldn’t. The only expectation they should have is to see two people, happily partnered together, making this amazing commitment. Done. Opening yourself up to discussion on matters pertaining to your wedding, your partnership, your choices, is going to create more stress than it’s worth. Decide what you want. Be kind but firm. Just be prepared to be given gift cards and the like even when you don’t want them. Because us old married couples know that perhaps one day (staring down the pipe of married for ages) you may like the opportunity to get new towels or flatware without shelling out the dollars for it– especially if you have kiddos to fund. At that point, those plush towels you’re turning your nose up at now will seem like heaven. Threadbare towels after a few years of sleepless nights are the thing that get me every morning thinking: I would love it if I could have another bridal shower! I am a Brit who married an Aussie. Australians are very sensible folk, and it’s tradition for people to put money in a fish bowl at the wedding. This is the same thing as helping the couple start out. As a Brit a lot of British friends balked at this and called me a ‘Pikey, and Chav’ which is a very bad names for a poor person. We had the wedding in the Uk as well. However I kept my foot down and said it was ‘traditionally Australian’ and as we will be moving to Oz in the next year or so, we really didn’t need any more stuff to lug with us 2000 miles across the world. A lot of people did give us cash donations, and a lot of other people were creative with it and gave us a five course meal out at a Gordon Ramsey restaurant. Another gave us theatre tickets. Which was lovely as they gifted us with lovely memories and experiences instead of cash. At the end of the day ignore the naysayers. it’s your wedding do what you want. Good luck with wedding planning I HATED every single moment and threatened to elope with my hubbie when people imposed too much of their ideas on my wedding. I just got married two months ago and was basically in the same situation you were. We opted to suggest to guests that they donate to a certain charity on our behalf and ask for no gifts. Because we didn’t feel comfortable and wouldn’t have been happy asking our guests to give us napkin holders and toaster tongs there basically wasn’t an ideal solution. Some were thrilled we went the charity route, thought it was a great idea and supported it. Some effectively thought we were putting on some sort of facade and were just saying we wanted them to donate when we really did want gifts. Some were just confused all together or ignored the fact that we asked for no gifts. The result was about a third of people donating, a third giving us cash, random gifts or gift cards and a third did neither (like Sarah said I noticed as I was sending thank you cards). I think Raechelle made a lot of good points about people feeling the want/need to contribute to YOU and also that sometimes weddings aren’t just for the couple but about your family and friend’s feelings and thoughts as well. In the end I’m so glad we went with the charity option because we were able to make a small difference in the world during an otherwise very selfish time in our life but it did stir up a lot more trouble and stress than I anticipated! Best of luck with your decision… I’m curious to know how it turns out for you! 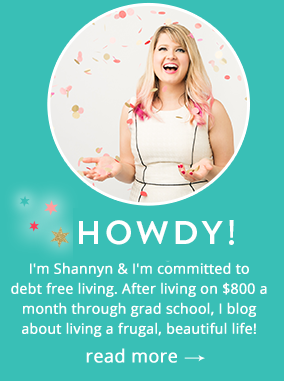 Shannyn, I loved, loved your little long rant! It’s your wedding and you should be able to do what you truly want. I say go ahead and do the donation thing. It’s wonderful of you to want to do such an amazing thing. You might want to check out Envelope Registry. I’ve recently created my own registry there though my reasons are not as altruistic as yours. I just wanted cash to do with as I please (please don’t judge me :-})! Envelope is a cash registry but with a list of unique items along with traditional gift items as well. You can also ask the site owners to add your own personalized items to the list and they will do it for you. You could have an item called “make a better life for foster kids” or “feed ten undernourished children in Africa” or “build a home for the homeless”. Anything goes. And to keep the traditionalists happy, you can add matching China sets, monogrammed towels and robes, or whatever items that will make them happy to gift you. Once all contributions are in, Envelope will transfer the cash directly to your account. It’s then totally your call to use the money the way you want to. You can donate it all to the one charitable cause you are passionate about or to a dozen different charities. I know I am probably late on this and you are most likely post wedding celebrations and gift giving but I wanted to give you an idea of what we did when we decided to get married in 2013… and I hope you did what you wanted, not what others wanted you to do. My now husband and I got engaged exactly five years into dating and decided to get married 3 months later. Imagine what people said (aka. I must be preggo!!). Yes, they deliberately tried to figure it out by inviting us for a drink to see if I decline a glass of wine. When the wedding day was approaching and we did not invite anyone other than parents and siblings… because that is what we wanted, a VERY intimate celebration, (and we refused to go into debt) it caused another outrage. Most could not grasp why would’t we want to invite 200 people and have a debt for the next 10 years (go figure!). Anyways the real issue came when we decided to not have gift registry. My husband and thought it would be phony to ask people for gifts but not inviting them to the wedding. And just like you, I lived on my own (moved from Poland to U.S.) for about 7 years, by myself, so I had all necessities. And even though most of them were second hand items, I did not see the need of having high priced china set or silk bed sheets or any other brand new item that just simply wouldn’t be ‘us’. Closest family and friends knew that we are looking into buying our first house and know us well enough that we do not like clutter and crap so they gave us cash… and that was the best. We could decide what we really needed at the moment and spend the money accordingly. Needles to say, almost 3 years later, we both think that we made the best decision, and wouldn’t change it if we were to marry again. Or actually, I wish I had an idea like yours with providing a charity of choice to donate money for those that really wanted to spend it.